My title, “Chasing the Tail of Providence,” is a phrase which has emerged in the past few years as my best touchstone for work with students and with NetVUE member schools in guiding the process of vocational discernment and exploration. It has become a reminder for me of what we are doing, and especially what we are not doing, in educating our students through the lens of vocation. The phrase is a reminder that we engage with the deep mystery of immanently present transcendence in our work, and that as soon as we name “calling” as our project with students, we connect our efforts with the lofty heritage of Abraham, of Jeremiah, of Paul, of Muhammad, of Ignatius, of Martin Luther King Jr., just to name a few. This is a heritage in which callings would barely be touched by career counseling or personality inventories, but rather where calling means a deeply relational connection with providence, going far beyond knowledge–lived, in fact, much more than known. We claim an engagement with a larger wisdom, a wider pattern, and a deeper grace when we call what we do with our students “the intellectual and theological exploration of vocation” (NetVUE’s stated mission is to foster this). And yet, it is our great honor boldly to wrestle with the mystery of calling with those students under our care. Whether it’s one-on-one conversation with a student (an irreplaceable setting for vocational reflection, though it runs a bulldozer through our weekly appointment calendars) or whether it’s designing a campus-wide initiative for helping an entire academic community better engage questions of calling, it’s important to remember both the promise and the limit of our enterprise. In our devotion to help students explore and discern calling, we are not building cages to trap God’s providence to hand to our students. We are merely building blinds with them–places and means of wise waiting–to catch a glimpse of it, and to give chase. “Chasing the tail of providence” comes with rich imagery for me. In our conversations, in our classrooms, and in our institutional initiatives, we glimpse the guidance of God in the lives of our students just as it disappears before us, and we relish the profound joy in clasping hands with them to leap after it. To run through the underbrush breathlessly wondering if we really saw what we thought we saw. We know we will not be able to catch and hold God’s providence, but we are energized in the hope that we might be running after it in the right direction this time. We long to get a quick sight of it again, both to see it for what it is, and to better understand where it might be leading us. Best of all, when it goes well, we know where we might wait for it in the future. We know where it has run, and so we know where it might run. We can come to know the sound of its footfall. We can come to know its scent. In the intellectual and theological exploration of vocation, it takes a trained eye and a well-tuned ear to catch sight of our common (and yet so uncommon) quarry. We train our students in the art of this vision and listening with the same devotion as we train them in the much more mundane arts named in our majors, minors, and class titles. And as we train them, we hunt with them. When we catch sight once more, we teach them to jump and bound after it with heartfelt passion and eager hope. For we know, perhaps better than our students do, that the object of our careful efforts of searching wants to be found. We have the chance to chase the tail of providence in our classrooms as we combine conceptual pondering with personal reflection and one-on-one conversation, challenging students to think more deeply about their flourishing, their mission, or their faith. We have the chance to chase the tail of providence in our service learning programs as we invite our students to help meet real human need and introduce them to models of social justice, while reflecting with them about the crises or causes which weigh most heavily on their hearts. We have the chance to chase the tail of providence in our academic majors and minors as we help students see possible connections between a learned discipline, purposeful living, and the common good, and then help students find their unique involvement in each. We have the chance to chase the tail of providence in our advising and mentoring relationships as we help students know the value of their personal story, and we stand in witness to the sure hope that they are called to a life with real meaning. 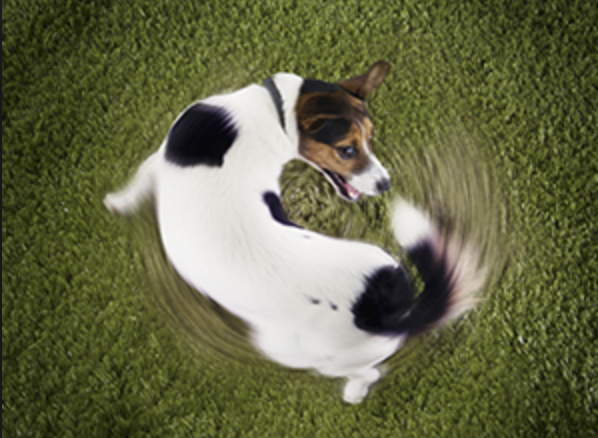 Why do dogs chase their own tails? If we are honest, however, we have to confess that chasing the tail of God’s providence with our students does not always go smoothly. We admit with good humor and humility that there are times when we find after long effort that we have simply been chasing our own tails. It happens. But, running in circles to find only our own inclinations and interests (I’m looking at you, Myers-Briggs) is nevertheless good exercise and feels fun for a reason. Chasing our own tails may be limited in what it offers, but made in God’s image as we are, the exercise of learning to chase down (and then realize we have only chased down) our own tails is nevertheless a semblance of learning to chase the tail of the one in whose image we are made. We risk spiritually desiccating our students when we make the mistake of seeming to have God’s providence, domesticated, in a ready-made campus program, in an influential mentoring relationship, or in a well-structured academic course. That said, we give our students one of the greatest gifts one human being can give to another when we strive to be of use to them, through instruction, mentoring, friendship, and apprenticeship, in learning to chase the tail of God’s providence more keenly in these vital, transitional college years. It is worth mentioning that many of us work among student populations in which open theological pondering about the mystery of God’s grace-filled providence is obstructive to the process of student formation. Indeed, where I work, I can rarely afford to use a word so theologically charged as “vocation,” let alone offer rich reflections on God’s providence with most of my students. In my next post, I will explore the tough question of how we might approach vocational formation and reflection when a theological articulation of vocation is not especially well received in an academic community. Carter Aikin is the Chair of Philosophy and Religion at Blackburn College in Carlinville, IL, where he oversees a “Vocation” General Education Program requirement that integrates Blackburn’s liberal arts curriculum with its religious heritage. Carter has worked with vocational exploration programs at CIC colleges since 2006, and has been a campus consultant for NetVUE since 2010. In teaching Blackburn courses like “Happiness,” “Being Human,” and “God’s Grace and Human Suffering,” he blends different academic disciplines to help students reflect on and discern calling. Thank you so much for your kind words and deep thoughts on this post. The great privilege of mentoring students in an academic setting means a lot to me, and stands at the center of all we do in curricular and co-curricular efforts connected to vocation across our college. I’m glad that you liked my own push and pull with self-knowledge exercises. Funny thing is, as you might expect, I use Myers-Briggs and similar inventories with groups of students pretty regularly! My own view is that mindfulness and self awareness are crucial to carefully attending to the movements of God’s providence. That said, it’s so easy for my students (and for me, too) to confuse this preparatory work for the journey itself. As you suggest, the clearest forward strides so often happen one-on-one with our students. It’s an engagement with mystery, to be sure, and such a joy-filled one. 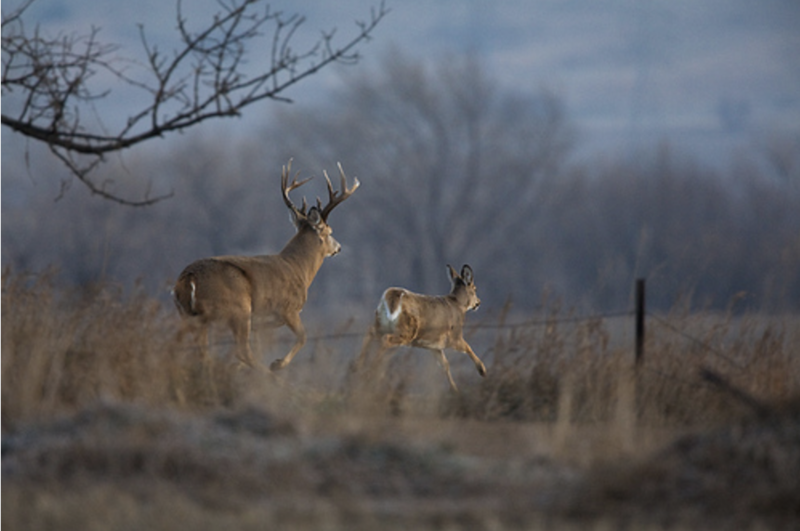 Again, thank you for taking the time and effort to offer some kind words and insightful reflections on the longing – like that of a thirsty deer – of our souls for God, as it gets played out in student mentoring. This essay is one of the most honest, insightful essays I have ever read on the nature of vocation and of the mentoring process. Psalm 42 came to mind in the section on chasing the tail. https://www.biblegateway.com/passage/?search=Psalm+42&version=NIV. I like your gentle rebuke, yet inclusion, of our “tools” such as personality tests. I also appreciate your keen awareness that though the language changes in various kinds of academic settings, the process of good mentoring remains mysterious, yet ultimately rewarding. In my experience, those one-on-one conversations linger, and continue to resonate, in ways other forms of teaching and learning seldom do.